Vegetables and fruits constitute the base of Manisa kitchen. 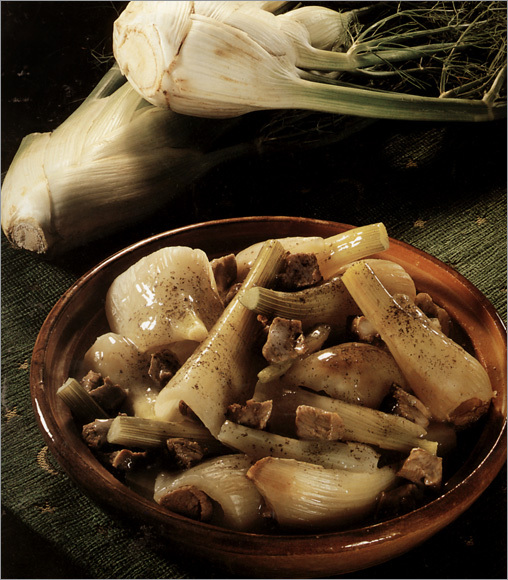 Olive oiled meals are in majority among the foods of the local cuisine. Manisa kebab, blessed thistle, stuffed artichoke, purslane, yalanci sarma, black eyed pea, garlic walnut and bread crumbs sauce, sinkonta, Turkish bagel (simit) bread, mushroom sweet, saffron and rice dessert re the famous dishes of the region. Izmir’s cuisine has a large variety of foods. Some of the dishes are bulamac soup cress soup, halibut soup, kirde, mastic stew, deep fried patties of grated squash with dill, Izmir meatballs, meat and shallots stew seasoned garlic vinegar and cumin, stuffed artichoke, tomato basti, Jerusalem artichoke, semolina cake soaked in light syrup, spinach borani, Ephesus fennel, and blessed thistle, mallow, and chicory salad. Traditional Foca cuisine’s main ingredients are fishes, sea food, olive, olive oil, artichoke and wild herbs. Grilled sardine, fish with yoghurt, stuffed squid, stuffed fish, fish soup, fish trotter, artichoke with lamb meat, and olive oiled stuffed artichoke can be counted among the region specific meals. Wild herbs which grow at the vicinities of Foca, such as fennel, teasel, radish greens, chicory, stinging nettle, and mallow are used in preparing salads, assorted appetizers, and pastry filling. Pastries, foods with poppy and cream are specific to the region in Afyon. Meals with boiled and pounded wheat, cullama meat balls, stuffed ilibada, saucy meat ball, back stuffed, goce tarhanası (sun dried curd tomatoe and yoghurt), chickpea shortbread, are some examples of local meals. 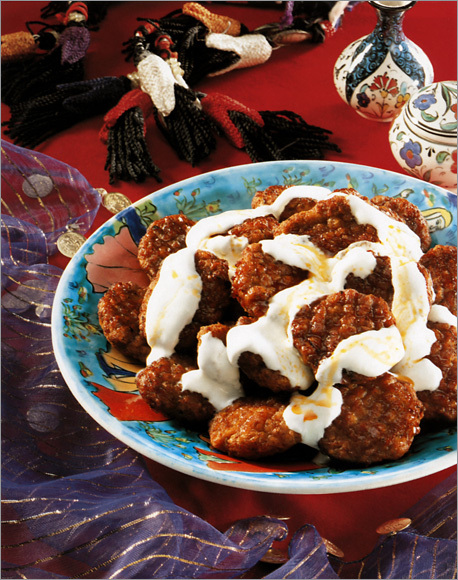 Additionaly, cream, delight, candy and dry fermanted sausage are the well known flavours of Afyon. Some of the meals prepared in Aydin are, ear soup, eggplant-paprika pickles with garlic walnut and bread crumbs sauce, tandouri cooked in underground pit oven, celery with meat, atichoke with meat, pelvize dessert, pasa pastry, yuvarlama, pastry filled with stinging nettle, braised malow and fennel. Famous meals of Kutahya include, Sikicik soup, Ogmac soup, tutmac soup, and stuffed onion, among the pastries, cimcik, tosunum, gokcimen hamursuzu can be counted; examples of meat meals, are kupeti, govec and tirit, and starch wafers filled with wallnuts in milky syrup and rose water, cendere and home made baklava are included in the regional desserts. Egg Leakage, Boiled and pounded wheat with liver, Dondurme, Arab meal, A dish of mutton or chicken and coursely ground meat, Alaca Tene, Foam Halva, Halva with cream, fresh cheese and walnuts and Sesame Oil Halva are among the regional traditional meals of Usak. Authentic cuisine of Denizli includes rice soup, a dish of mutton or chicken and ground meat, white beans, chickpea, stuffed vegetable, Cracked wheat pilaf, zucchini and meat stew with onions.